Over 100 passengers killed and more than 200 injured when 14 coaches of the Indore-Patna Express derailed in Kanpur. The accident has been attributed to a rail fracture. Defence Minister Manohar Parrikar commissioned the indigenously designed and constructed destroyer INS Chennai, which is armed with the super sonic surface to surface “BrahMos’ missiles and is also capable of undersea warfare. It will be placed under the administrative and operational control of Western Naval Command. Andhra Pradesh CM, N Chandrababu Naidu, commissioned a 5MW solar power plant in Gollagudem village of the West Godavari district, which will produce about 8.06 million units of power annually. Andhra Pradesh had in its account of commissioning India’s first solar park with capacity of 250MW in Ananthapuram district. India’s longest expressway, from Agra to Lucknow, has been launched by the Chief Minister of Uttar Pradesh, Akhilesh Yadav. The expressway measures 302 km and the inaugural event saw IAF fighter jets perform simulated landings on it, a first for any road launch. UK Parliament has passed an extreme surveillance law which is named as ‘Investigatory Powers Act’ that legalises several spying and hacking tools used by security agencies. China has launched a 712 km quantum communication line which is the longest secure telecommunication network. It links Hefei to Shanghai and is equipped with ultra high security systems. It is a part of China’s quantum satellite for space-to-earth communication network. NASA successfully launched the most advanced weather satellite into space named GOES-R, from Florida. Its mission is to provide faster and more accurate weather forecast for the US. Indian golfer Gaganjeet Bhullar won the RBI-JCB Indonesia Open for second time in his career. The prize money for this was $300,000( ₹2 crore). It was Bhullar’s overall seventh Asian Tour Victory and the second title this season. Ravichandran Ashwin (India), became the first bowler ever to complete 50 wickets in two consecutive calendar years. He reached this feat with his 5 wicket haul against England in the Vishakhapatnam Test. 47th International Film Festival of India which is said to be Asia’s oldest film festival began in Goa. This time, around 300 films from across 90 counties, including the national award winning epic drama ‘Baahubali’ will be screened at this eight day long festival. Sri Sri Ravishankar has been honoured with an international peace prize for his efforts in ensuring world peace. He received the ‘Dr. Nagendra Singh International Peace Award’ from the Home Minister Rajnath Singh. The award has been instituted in the memory of Dr. Nagendra Singh, an Indian judge at the International Court of Justice, The Hague. 1. Which two cities are connected by the India’s longest expressway measuring 302km? 2. Which satellite has been launched by NASA for forecasting weather accurately? 3. Who among the following golfers has won the Indonesia Open 2016? 4. Which personality has been honoured with the Dr. Nagendra Singh International Peace Award? 5. 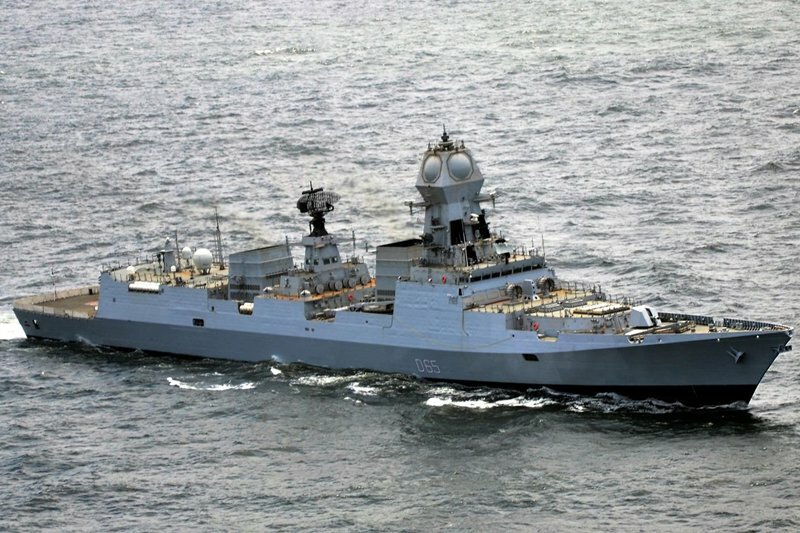 Name the indigenously designed and constructed destroyer that is armed with BrahMos missiles and is also capable of undersea warfare.